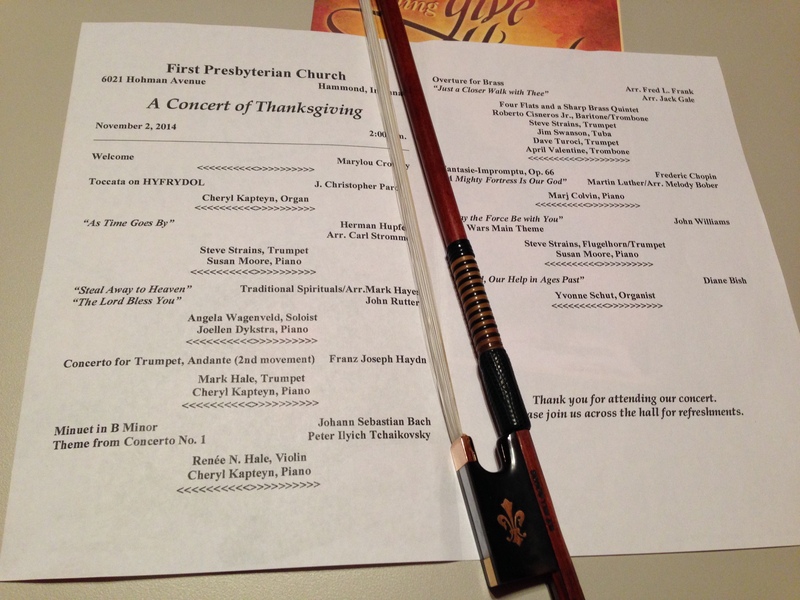 Last Sunday, November 2, Stringsong again enjoyed playing for the annual Fall Concert at First Presbyterian Church in Hammond, IN. Cheryl played a beautiful organ solo on the Moller organ to open the concert. There were several artists, instruments, and genres of music. Cheryl and Renée together performed works by Bach and Tchaikovsky.